The first stop on this bus tour will be Cold Spring, where an iron foundry operated from 1811-1911 supplying artillery to the West Point Military Academy across the Hudson River. 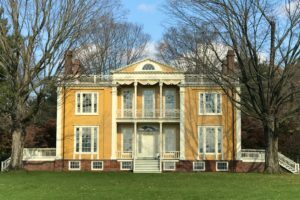 A talk about the town’s history will be followed by free time to explore its historic district before lunch at the Hudson House, an inn built in 1832. Afterwards, the bus will take us to Garrison to visit Boscobel. This 1804-08 house was demolished at its previous location and then reassembled on this site in the 1950s. After visiting the house and its gardens, we move on to works by Richard Upjohn, first visiting St. Philip’s Church in the Highlands, which he designed. It opened in 1865, and Upjohn was a parishioner there for the rest of his life. We will see the exterior of the house in which he lived from1852 until his death in 1878. The central part of the house was built in 1735; Upjohn added extensions and enlarged the dormers. Our final stop will be at a private house that is listed on the National Register of Historic Places. 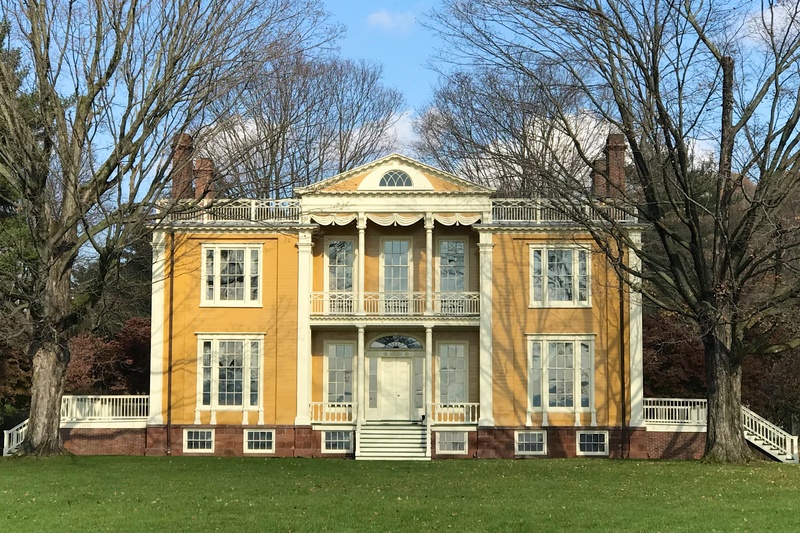 Built in 1888 by railroad magnate Samuel Sloan as a wedding gift for a daughter, it remained in her family until 1956. The current owners bought the property in 2005 and brought in a collection of 19th century English transferware that includes historical and romantic patterns. Scenes and events relating to the Hudson Valley and New York are prominent in the historical patterns, while scenes from voyages of discovery dominate the romantic. Prints relating to the voyages of discovery are also on display. Argand and other Victorian era light fixtures, wired for electricity, are installed throughout the house. This bus tour is limited to 40 participants. Paid reservations must be received by Tuesday, April 30.